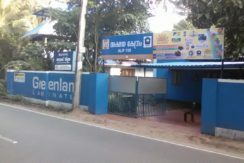 8 Cent Land with Old House for Sale at Thanneermukkom, Alappuzha. Sale price is Rs.2500000. The house has 3 bedrooms with one bathroom.